An availability group supports a failover environment for a discrete set of user databases, known as availability databases, that fail over together. An availability group supports a set of primary databases and one to eight sets of corresponding secondary databases. Secondary databases are not backups. Continue to back up your databases and their transaction logs on a regular basis. 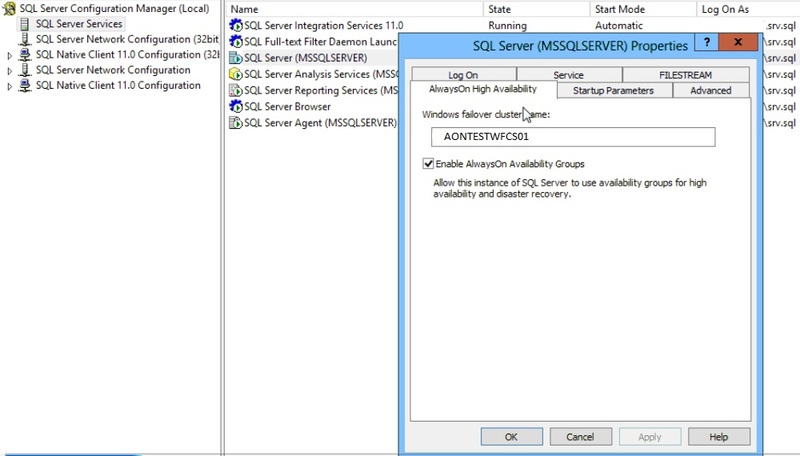 Prerequisites required to enable SQL Server 2012 AlwaysOn Availability Groups Feature. All replicas in your AlwaysOn group must be in the same windows domain. They must be able to communicate with each other. Databases included in your AlwaysOn group must be user databases. System databases cannot participate in AlwaysOn Availability Groups. We have two node windows failover cluster SQL1 & SQL2 already setup as shown in below screenshot. Once you have installed failover cluster we can now proceed with enabling the AlwaysOn Availability Groups feature in SQL Server 2012. This needs to be done on all of the SQL Server instances that you will configure as replicas in your Availability Group. In below screenshot, AONTESTWFCS01 is the windows cluster name. SQL1 and SQL2 are nodes. In below screenshot, we have selected AGTEST database to Always on availability. 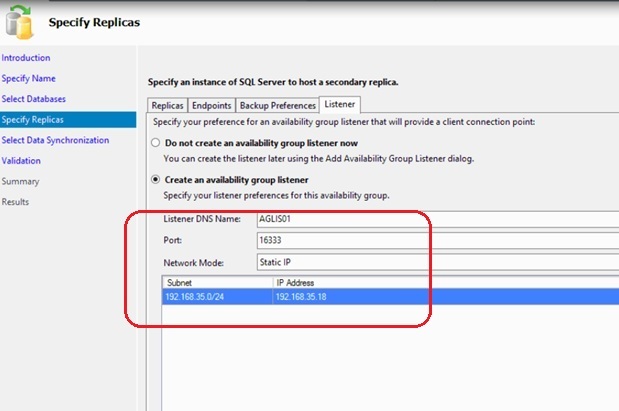 In the Specify Replicas page, under the Replicas tab, click the Add Replicas button and connect to the other SQL Server instances that you joined as nodes in your Windows Server Failover Cluster. 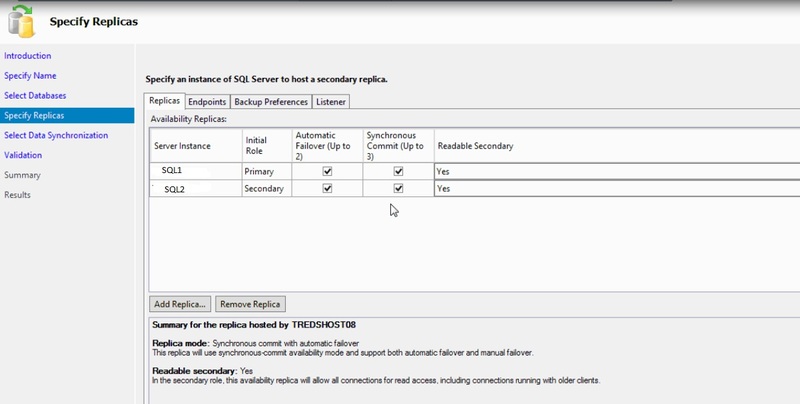 In below screenshot, specified replicas SQL1 & SQL2. In the Endpoints tab, verify that the port number value is 5022 and endpoint name Hadr_endpoint. In below screenshot, Selected backup preferences as shown in below screenshot. 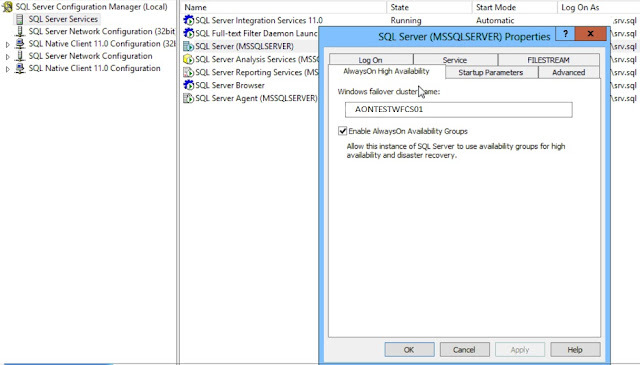 Hi got a question on this "Always on availability groups is only supported in Enterprise edition starting from SQL server 2012 ( except SQL 2016 it supports basic availability group in standard edition)" what I read it says that on Standard it's up to 2 nodes but that mean it's only the failover cluster part??? Yes it supports only one replica. Basic availability groups enable a primary database to maintain a single replica. This replica can use either synchronous-commit mode or asynchronous-commit mode. To know limitation of basic availability group check below article. It is again very nice article. 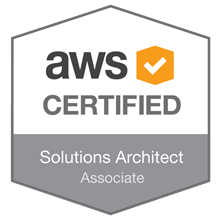 When we create an AlwaysOn, will it create a separate instance and database? Sorry it may be silly. No. 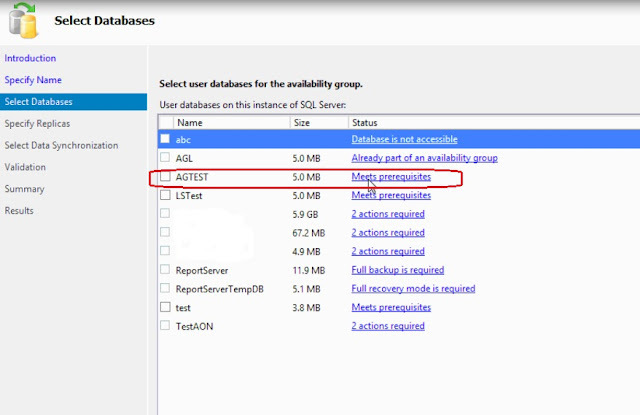 it is a standalone instance and you have to add database into availability groups. HA availability group is a group of databases that fail over together. Glad you liked it. Please share and subscribe. 1. What installation type we have to use during installation Standalone or SQL Cluster Node installation? 2. If we go for SQL Cluster Node installation we are getting error like " No Storage Device" on Server. 3. If standalone both SQL servers instance need to keep same? Please suggest which option we have to select.